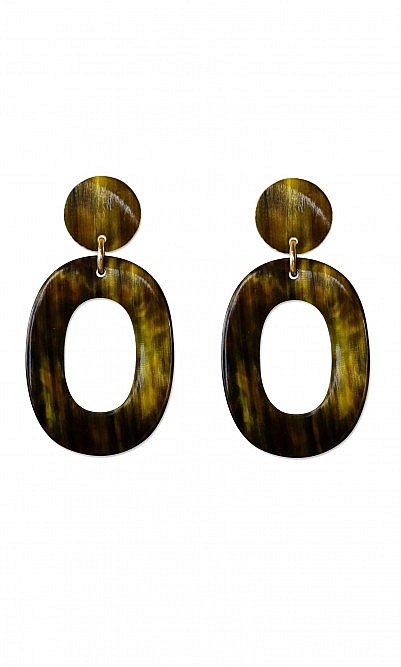 Striking clip-on earrings sculpted from polished horn and given an acid-yellow finish. The lightweight, padded earclips make these earrings super easy to wear. Each pair is unique as horn is a natural material. L8cm.